Why are sports cars called sports cars? Is it because they haul sports equipment for professional teams? Ah, no. Is it because they’re sporty? Well, yes, but no. Is it because they’re competitive? We’re certainly getting warmer. Is it because they’re fast? Now we’re on the right track. In many countries around the world, racing is indeed a sport. And sports cars are named as such because they possess many of the characteristics of the same cars that are driven in that very sport; they’re sleek, agile, and fast. As racing has advanced, so have sports cars. 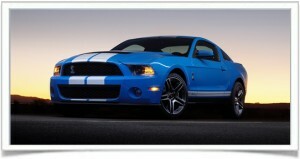 We’ve used resources at Car and Driver, Consumer Reports, Edmunds, and Motor Trend to find the best sports cars of 2011. Don’t blink, or you might miss them. Technically this category should go to the Bugatti Veyron, but at $1.7 million there aren’t too many consumers that will have one sitting in their driveways any time soon. We thought we’d take a more practical approach and go with the R8 5.2 Quattro. 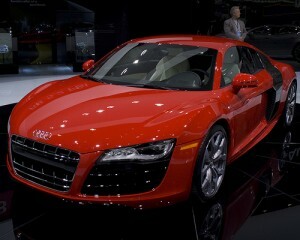 Even though $149K is far from economical, it is definitely fast! Powered by a 5.2L V10 engine, the R8 will go from zero to 60 mph in 3.7 seconds. For true performance, stick with the manual transmission as the single-clutch R-tronic gearbox makes the car feel sluggish and clumsy. Audi also released a GT model of the R8 with an upgraded version of the V10, which they say will hit 3.5 seconds in the same run; but it’s a limited production model so getting your hands on one may be as difficult as grabbing a Bugatti by the tail. This is the quintessential “don’t judge a book by its cover” vehicle. From the outside, the M3 looks like any other luxury coupe rolling down the road. Taking it for a little jaunt around the block will provide a whole different story. Its 4.0L V8 kicks out 414 horses and 295 lb-ft. of torque, and can get you to 60 mph from a dead standstill in just 4.6 seconds. 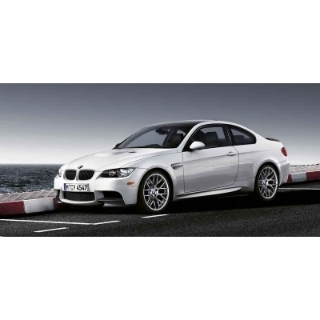 On top of the sleek performance you’re also getting BMW style and safety. Braking on the M3 is astounding, coming to a stop from 60 mph in just 100 feet. Driver-selectable suspensions settings come in Normal, Comfort, and Sport, any of which will soak up bumps in the road and all but eliminate body roll. While it’s not the fastest kid on the block, the Genesis 3.8 Coupe provides all the features you’d expect from a fun-to-drive sports car. Its superb body control and responsive steering are notably impressive, while ride quality remains comfortable and sophisticated. We stick with the 3.8 Coupe on this one because the turbo four-cylinder is rather lackluster. The bigger V6, however, delivers rapid acceleration and that old-school engine sound that sports car enthusiasts look for. The driver’s seat is surprisingly comfortable and well-positioned, but the rear seat is strictly for children or extra cargo. The Shelby GT500 seems to have a little bit of everything. It provides raw power and torque for those speed demons; it has some classic style and design for nostalgists; and, it possesses a surprisingly luxurious interior for those yearning for a bit of pampering from their sports car. Its powered by a 5.4L supercharged V8 that pumps out 550 horsepower and 510 lb-ft. of torque. It will hit 60 in just 4.3 seconds and still maintain a decent fuel economy at 15/23 mpg (city/highway). The monstrous Brembo brakes bring stopping power to a rather remarkable 106 feet from 60 mph, and the confident handling makes for a very well-balanced feel. Its interior mimics its 1960s ancestors, but provides a technological look and feel.